Lack of snow in warm Vancouver is evidence of AGW. 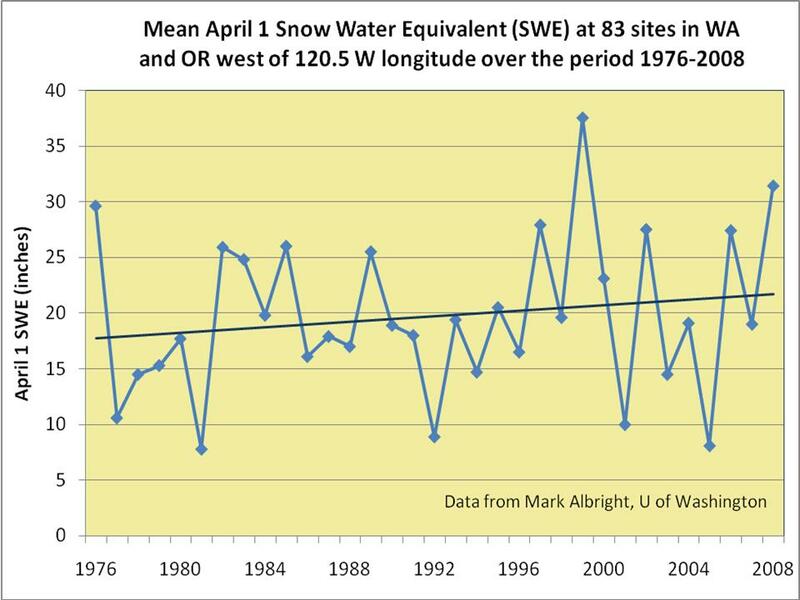 Record snowfall in cold Washington DC is evidence of AGW. Ho hum. “Let’s compare DC’s actual temps with normal temps for those days. Bottom line: the temperature was colder than average on every one of the snow days. On average the snow days were about eight degrees colder than average. To spin these facts as proof that the blizzards are evidence of global warming because “warm air holds more moisture” is bunk. Willis Eschenbach on negative feedback and "The Thermostat Hypothesis"
The Thermostat Hypothesis is that tropical clouds and thunderstorms actively regulate the temperature of the earth. This keeps the earth at a equilibrium temperature. 1. The sun puts out more than enough energy to totally roast the earth. It is kept from doing so by the clouds reflecting about a third of the sun’s energy back to space. As near as we can tell, this system of cloud formation to limit temperature rises has never failed. 2. This reflective shield of clouds forms in the tropics in response to increasing temperature. 3. As tropical temperatures continue to rise, the reflective shield is assisted by the formation of independent heat engines called thunderstorms. These cool the surface in a host of ways, move heat aloft, and convert heat to work. 4. Like cumulus clouds, thunderstorms also form in response to increasing temperature. 5. Because they are temperature driven, as tropical temperatures rise, tropical thunderstorms and cumulus production increase. These combine to regulate and limit the temperature rise. When tropical temperatures are cool, tropical skies clear and the earth rapidly warms. But when the tropics heat up, cumulus and cumulonimbus put a limit on the warming. This system keeps the earth within a fairly narrow band of temperatures. 6. The earth’s temperature regulation system is based on the unchanging physics of wind, water, and cloud. Good news for whitewater river runners of the Illinois (Oregon), Rogue, and Klamath rivers.